Apple has filed an appeal, requesting the US International Trade Comission (ITC) to broaden the import ban to include more Samsung smartphones. The Cupertino-based company aims to reverse ITC decisions which allow Samsung to design workarounds for its products thus managing to work around the ban. The ITC has already found Samsung guilty of infringing two patents, but Apple's appeal now wants the Commission to review three more patent cases. Apple's Notice of Appeal and Petition for Review has been published by the ITC last Wednesday and has been dug up by Florian Mueller over at FOSS Patents. According to him, Apple's goal is to focus on patents relative to current Samsung devices, and not so much on the older ones, which got an import ban last week. As a result, the Samsung Galaxy S II, Samsung Continuum and Transform have been restricted from being imported into the US. Currently, the ITC has stopped its operations due to the US government shutdown. 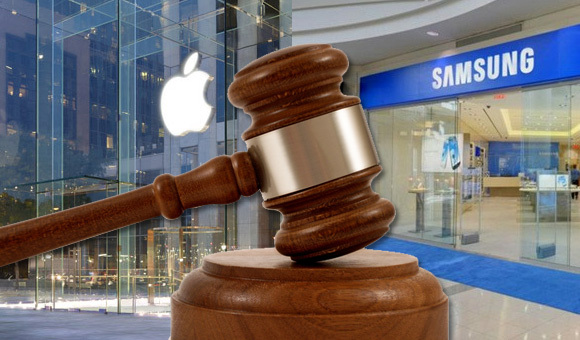 Samsung is expected to file an appeal of its own as well. Oh really? I think it's samsung that worry. why it come out with gold S4?